Caption slip reads: "Photographer: Swaim. Date: 1957-12-31. Reporter: Swaim. Assignment: 1959 Rose Tourney president. 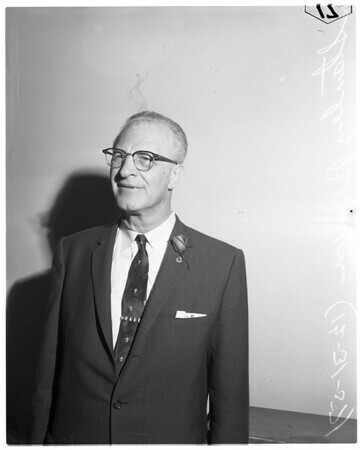 17, 18: Stanley Brown, vice-president of 1950 Tournament of Roses who by usual succession will be president of 1959 parade. Picture taken to have for file".